Roseisle is not open to the public. 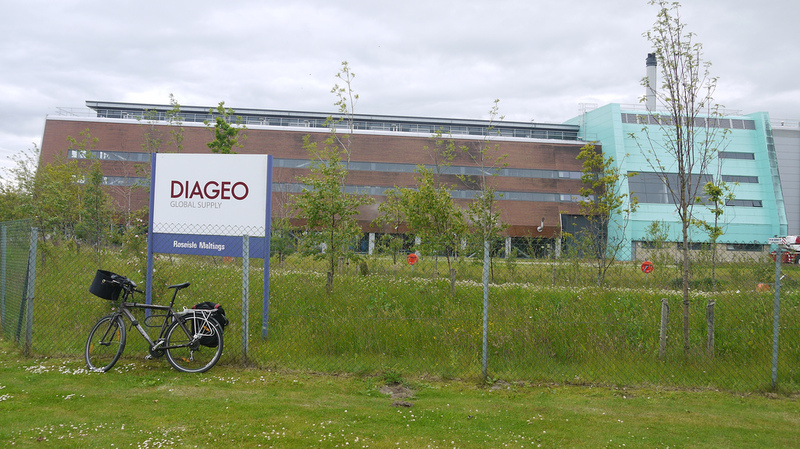 Diageo's response to the increased demand for malt whisky - the largest malt whisky distillery in Scotland. 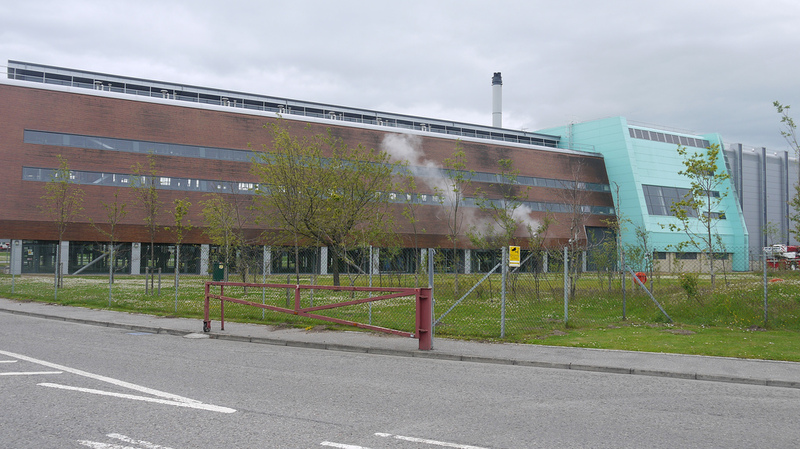 The site already had a malting facility and the distillery was designed to be as green as possible. It currently produces two styles of spirit one light, one heavier, though the stills have been built to allow some adjustment to the spirit distilled. There are no warehouses on site, the spirit is tankered to Cambus for filling and maturation. 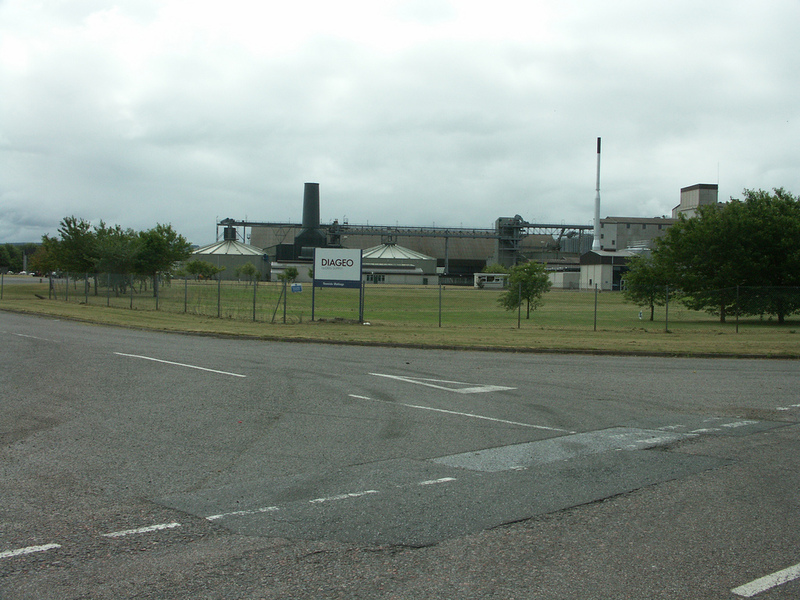 Forres (FOR) (9 miles), Elgin (ELG) (7 miles). Live Train Times: FOR, ELG. Station plan for Forres not yet updated to new station. Roseisle is on the B9089 Kinloss to Burghead road. Roseisle has yet to be bottled - and when it is most of it will be in blended whisky. Diageo have stated, however, that they will bottle it as a single malt, though how widely available that will be remains to be seen. Bike Hire and Repairs (Mon-Fri). Also sell refurbished bikes. Photos on this page were taken by me. Click on photo to enlarge. 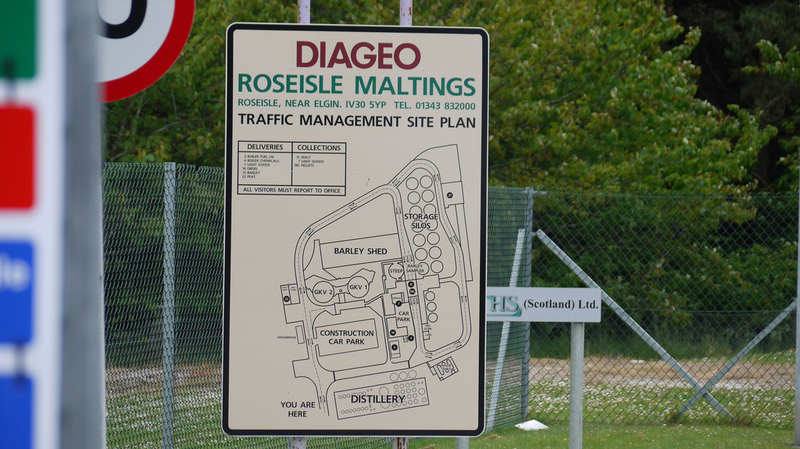 Full size versions of all my photos of Roseisle Distillery are available on Flickr.